Hey everyone! 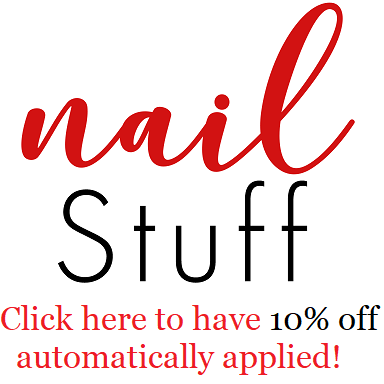 Today I have a super excited post to share with you! Today I will be reviewing the Lash Perm 3 Step Volumecara & The Sweet Recipe Cupcake Eyes in #PK001 Sweet Berry Lemon Mousse which are both from the brand Etude House. However they now can be easily bought on a Canadian online store called LaaLaa.ca which means fast shipping. <3 Anyways they were awesome & supplied me with these two products to review. So lets start which my manicure of the day & then the review. I swear Korean products have the best packaging. They most certainly know how to capture a girls attention. Even the packaging alone would make me want to buy it. I adore the way they did this, it's super simple & anyone could do it. The yellow is for all over, the brow bone, crease etc. & then the pink is for the eye lid itself. As for the shades themselves the Yellow isn't very opaque, but it's not meant to be. It's meant to give a hint of colour & shimmer & thats it. However the pink is another story. It's a super unique colour that I really like. You can't really see it in the swatch however it is a pink gold. Theres gold shimmer that just makes it such a warm shade that perfectly blends with the yellow. They're the perfect combinations. I honestly don't think I would have put them together before but now I don't see how I haven't thought of it! So these are them applied, sadly because of how the light was in this picture it made the picture colours warm which doesn't blurs the true beauty of the pink however you can see them much better in the following pictures. The shadows were super easy to work with & blended together nicely. "With its breakthrough adjustable dial, 2 step volumcara provides 3 settings for 3 volume looks in 1 mascara, letting you customize your own lash style! Step 1: Defined, clean volume. Step 2: Full, glamorous volume. Step 3: Dramatic, smoky volume. [Directions] 1. Hold the bottle in one hand & turn the center part until desired setting. 2. Apply a layer of mascara from the base of lashes and wiggle brush up to the tip of lashes. 3. Repeat with the next setting to build more volume." I really enjoy this mascara. It's super fun & an actually huge money saver, because I know most makeup lovers & even some people who just regularly use make up have more then 1 mascara because they own a few that do certain things such as one that lengthens & then one that makes them full looking. & this 1 mascara can give you both at the same time or either one by themselves. 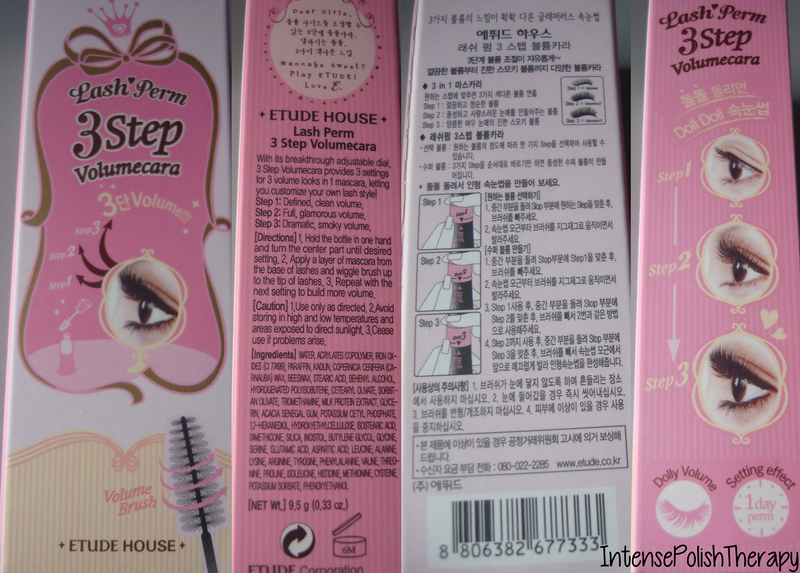 the etude house packaging is just the best and these products look pretty good too! They are sooo cute and pretty, I'd love to try them! !